Three new commercial carpet ranges – Fringe, Induna and Weavers Choice – made from three different stain-proof yarns, were added to the commercial carpet collection from Belgotex Floors. These new ranges extend the company’s selection of modular and broadloom carpet ranges to offer a world of choice with the latest looks and technology. Fringe is a tufted tile with a soft multi-scroll surface, while Induna’s structured needlepunch construction offers hardwearing texture with a hi-low variation in pile height in linear designs for long-lasting durability and performance. Weavers Choice is a broadloom range that is expertly crafted for chunky, traditional comfort with outstanding wear characteristics. 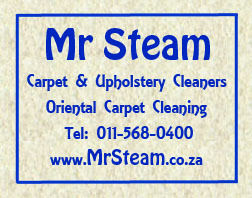 All three ranges are made from stainproof yarns for ease of maintenance and convenience. Fringe features Stainproof Miracle Fibre, a polypropylene fibre which is colourfast and UV-resistant, Induna is made from recycled Stainproof Eco Fibre combined with Stainproof Miracle Fibre providing green credentials and Weavers Choice is made from stainproof nylon yarn branded Stainproof SDX (Solution Dyed Nylon).